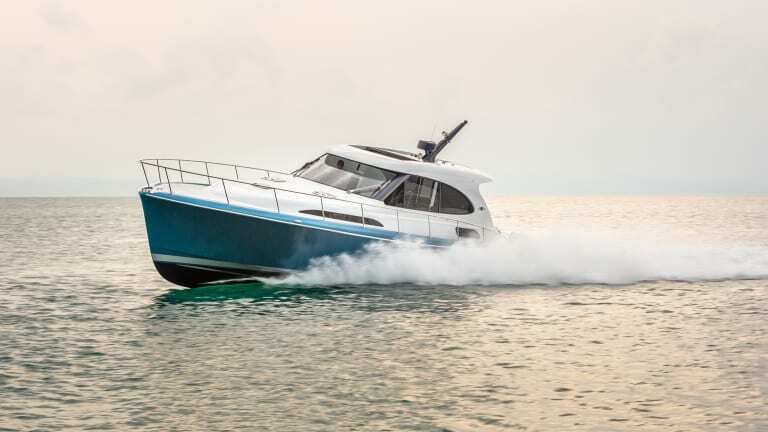 The builder’s GT Series of express boats will combine performance and efficiency in a lineup of cruisers with striking good looks. 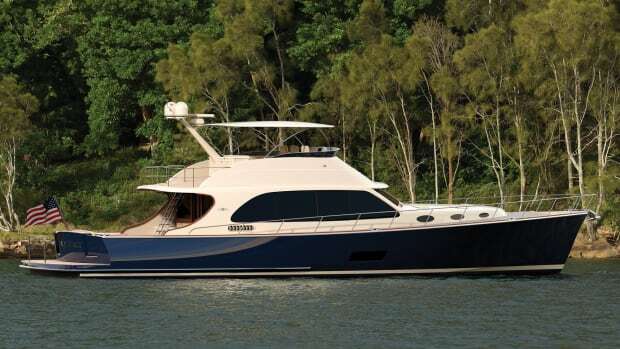 Palm Beach Yachts just announced the launch of a new model line, the GT Series. 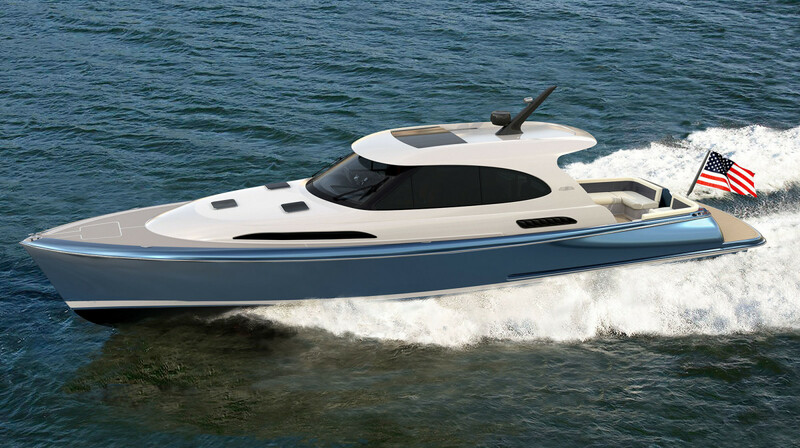 The first boat in the lineup—which will grow to include 60- and 70-foot models—will be the GT50. 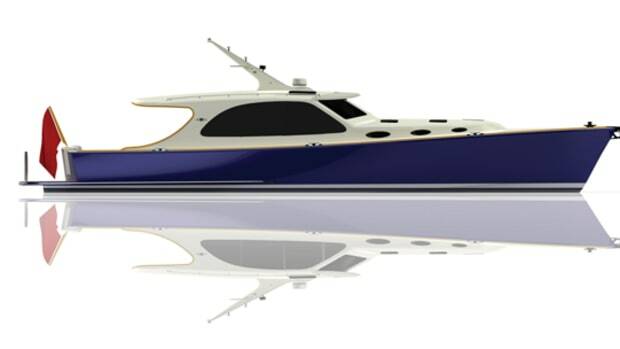 An express version is scheduled to debut at the 2018 Newport International Boat Show that opens September 13. 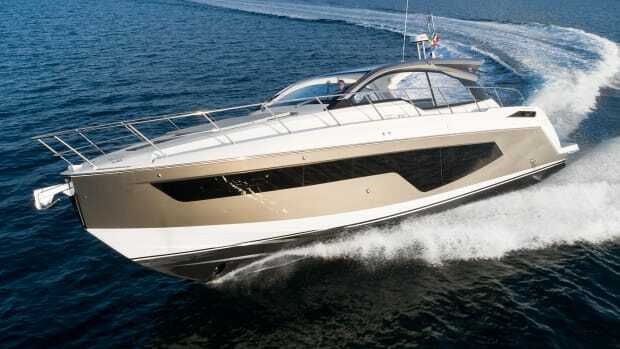 An open model will hit the boat show circuit in 2019. 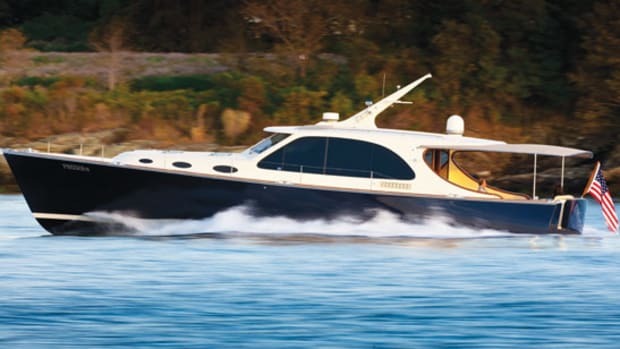 Since the brand’s founding 25 years ago, Palm Beach Yachts has pushed the envelope in terms of performance. 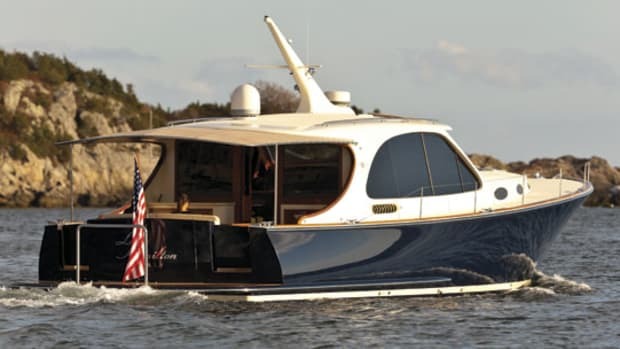 Lightweight construction and an efficient hull design have earned the company a reputation for building driver’s boats. 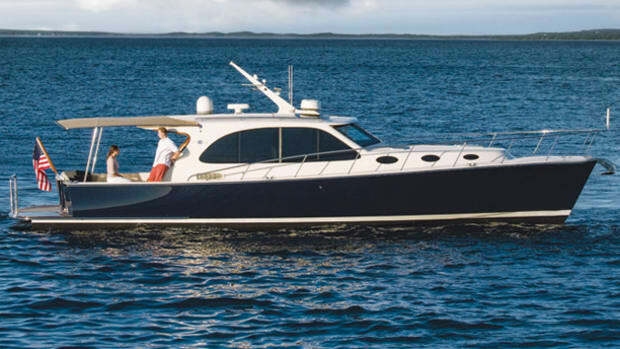 In fact, one of the signature features of a Palm Beach yacht is a small wake. Company Founder and CEO Mark Richards looks at boats with monster wakes and sees wasted energy. 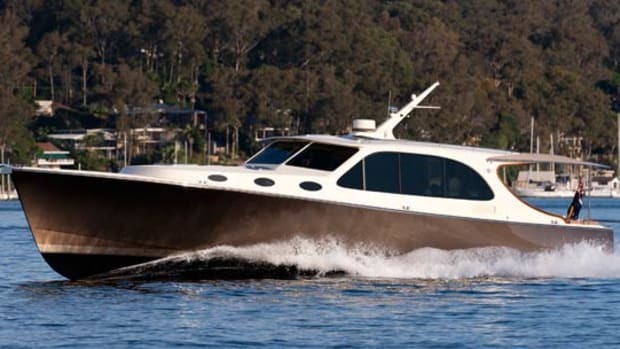 A Palm Beach, by comparison, is designed with a semi-displacement warped hull that allows the boat to get on plane with less resistance, and thus boost efficiency. Performance is also achieved through lightweight construction. The builder makes the most of composite materials and infusion techniques. 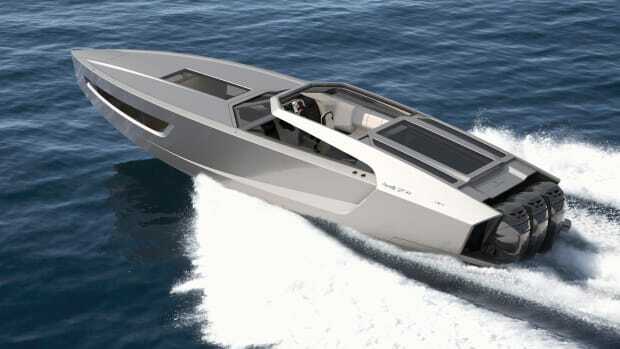 The deck and superstructure, for instance, are fully infused with 100 percent carbon fiber, according to the company. 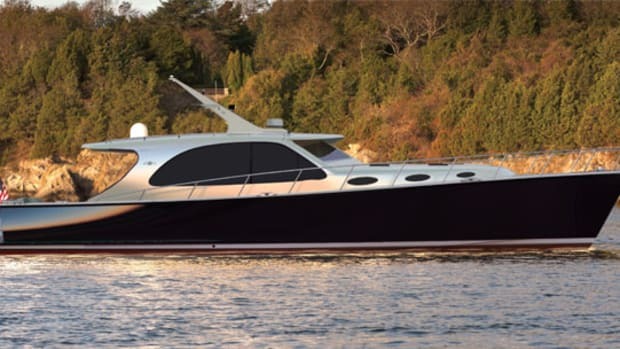 The GT50 Express is designed to accommodate a number of guests and owners with a love of entertaining. There are two social areas on deck: one in the aft cockpit (just steps from a teak swim platform) and another at the helm deck, where there’s a large opening sunroof. The driver sits nearby at a carbon fiber helm station that faces a single-piece windscreen designed to resemble the windshield on a high-performance car. 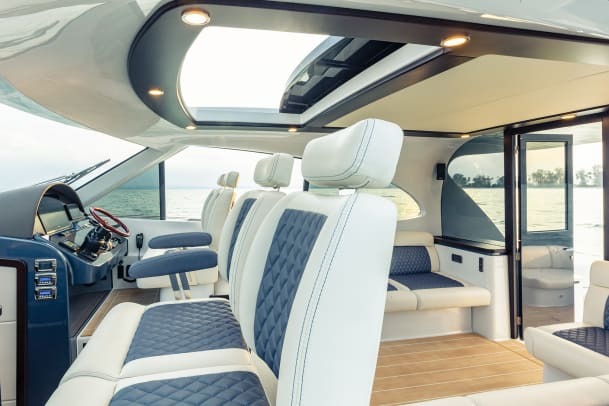 The GT50 can accommodate overnight guests in the cabin, where there’s a full galley, a large head, master stateroom forward and queen berth aft. 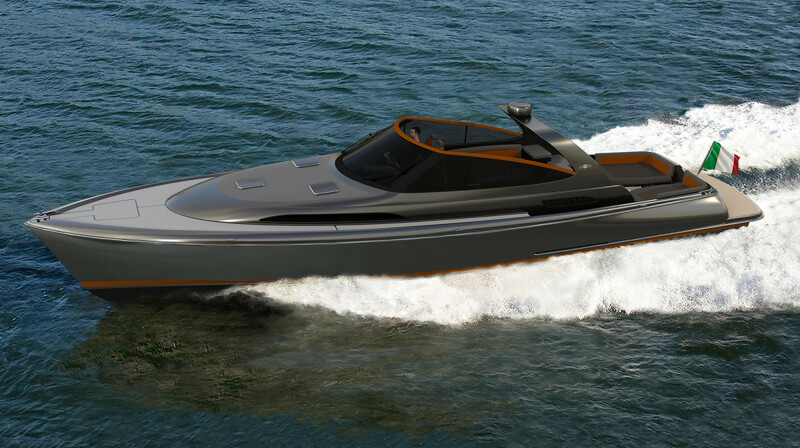 Based on the early performance data, Richard’s reputation for building a solidly constructed boat, and the level of fit and finish this brand is known for, we anticipate the new GT 50 to make some serious waves (metaphorically, of course) on the show circuit this fall.